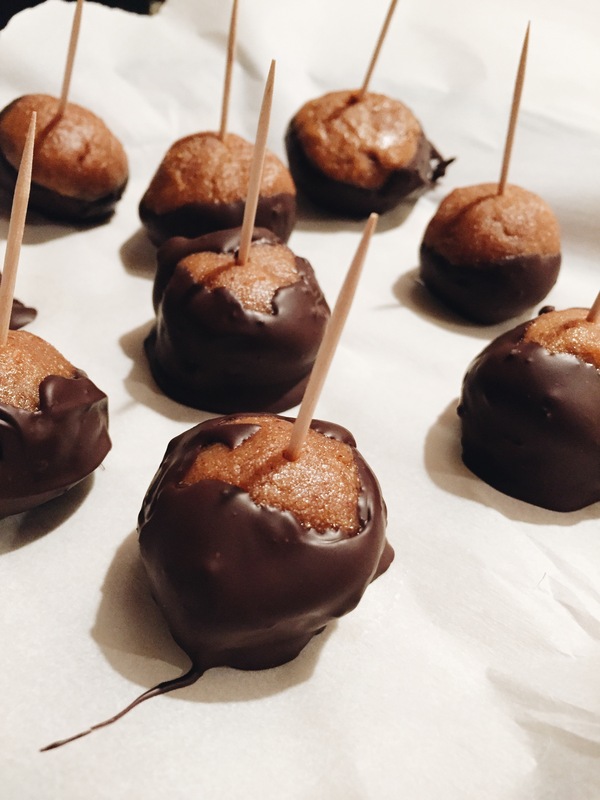 If you love choc + pb desserts like me, you’ll love this buckeye alternative recipe that trades sugar for organic maple syrup, peanut butter for almond butter, and leaves out butter completely. And it’s SO easy! 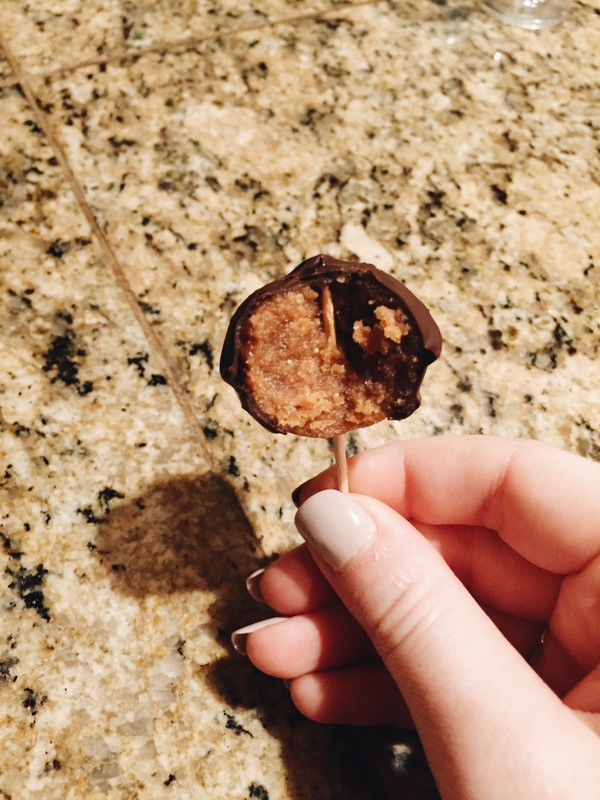 I used this recipe but made a few changes – I didn’t have coconut butter and didn’t feel like making it so I just left it out and it turned out fine + Instead of making the chocolate coating, I melted the Trader Joes’s Pound Plus 72% Dark Chocolate (which is the best for melting purposes i.e. chocolate covered strawberries). Honestly next time I will probably double the recipe.